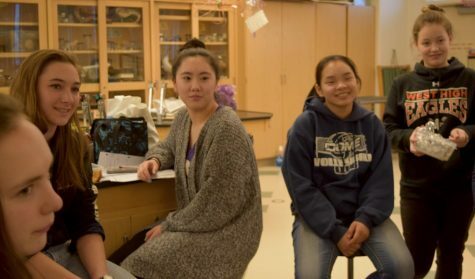 West Anchorage High School boasts nearly 35 clubs for students. 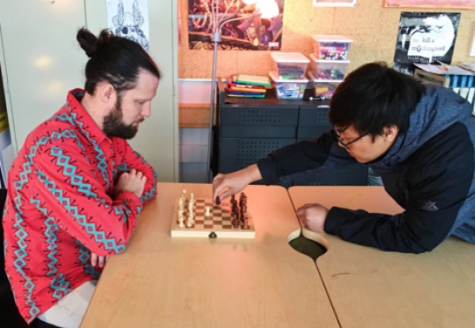 YANA Club provides many students a safe place where they can share their thoughts and talk to fellow classmates, as well as learn skills to help others feel valued. YANA stands for “You Are Not Alone” and is a national club across the nation. The goal of YANA is to make a difference one smile at a time. Yana Club is sponsored by Carri Jones, a West High math teacher. Jones has been teaching at West for five years and she never intended on running YANA Club, but is pleased with the effect it has had on the students who attend. 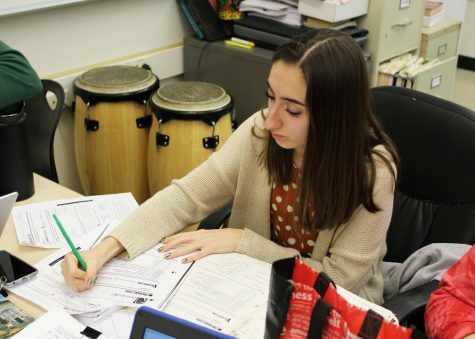 “YANA Club has positively impacted a few people here at West to teach them how to get help and what resources that are actually available to them,” said Jones. This year YANA has really focused on suicide prevention and awareness. 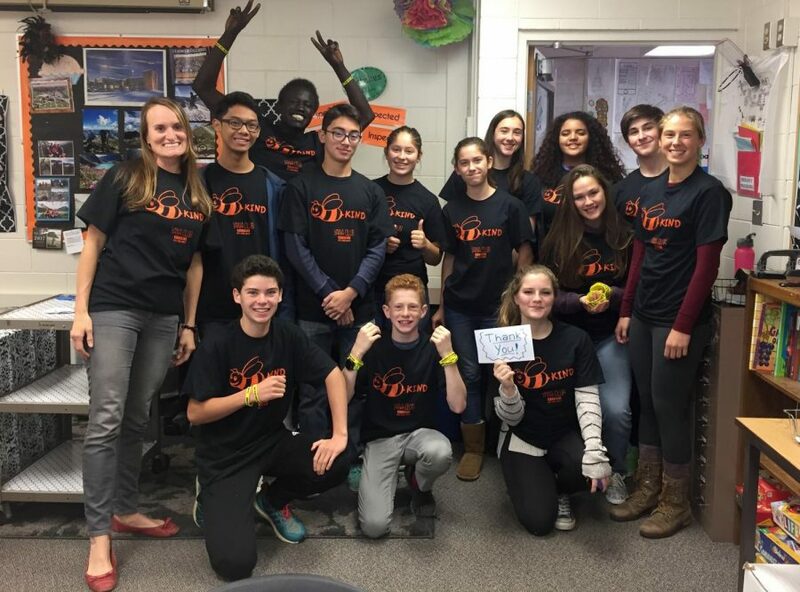 Jones and club members presented in nearly all the English classes at West, teaching students about how to help someone who may be battling thoughts of suicide and sharing information on resources available. Jones took several YANA members to Kodiak in March to make the presentations to students. To increase the amount of student participation, YANA club hosts a pizza party every third Tuesday of the month. Club members hope to have more and more people joining in the next years. The club welcomes all students. “You don’t have to be struggling to go. Its for anyone to just hang out or chill,” Jones said. West High Junior Aaron Medina describes the club as a chill place to be where students can talk to friends and hear each other’s thoughts. Medina says, “The club has so much positivity. It’s all positive vibes in here.” Medina has been a part of YANA for about a year now and says he really enjoys it. YANA Club meets every Tuesday during lunch in room 57. I like how Ms.Jones decided to take students to Kodiak to do presentations there to make sure that students all over are educated on suicide prevention and awareness. I thought this was a well written article, although try to use longer quotes for more information on what the person is saying about the subject. This is a nice article that will help many others in life and learn how to get help. YANA is a good club that I believe should stay for as long as possible. This is the best article on this site. i like how charlie had interviewed some students and their thoughts on it. This club is a great oppourtunity to reach out to students and connect with people that have your same mindset. This is a great club. 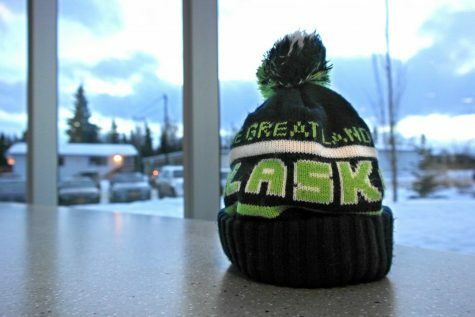 Jones had taken students to Kodiak to give presentations on suicide awareness. That’s pretty cool! Good job on giving information on this club while still making it easy to read and interesting. It’s cool how this club welcomes everybody and how they are focusing om suicide prevention and awareness. The amount of information that this article has is great for getting people to join the club. This article has a lot of information that would make someone feel welcome to come in and talk to somebody. I think this is great that there is a club that foocuses on suicide prevention. Everything helps! I think this is great that there is this YANA club that focuses on suicide prevention. Everything helps! Reading this article about YANA club really made me interested! I’ve never really been the one to join clubs, but I would have to check this out. I love how you shined more light into a club that will definetely benefit the school and help other students. Great article. Way to highlight an amzing club at West High!